Ostrich is the largest living bird in the world. It is about 8 feet tall (2.4 meters) and may weigh as much as 345 pounds. 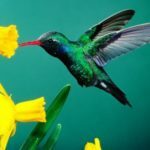 It has wings but can’t fly. Male ostriches are mostly black, with white feathers on the wings and tail. The females are mostly brown. 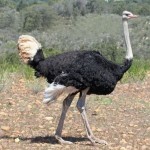 Ostriches use their wings to help them balance when they run. Ostrich can run up to 45 miles (72 kilometers) per hour. 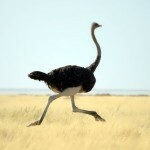 Just one of an ostrich’s stride can be 3 or even 5 metres long – that’s longer than many rooms! 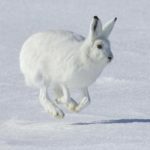 So it is not just the biggest but also the fastest bird on the ground! It runs to keep away from the enemies. People sometimes say that ostriches bury their heads in the sand when they sense danger. But this isn’t true. You just can’t see their heads when ostriches are lying down. If their babies are in danger, ostriches will fight. 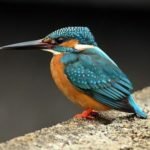 They use their beaks, and they kick with their very powerful legs. Their kick is strong enough to kill a lion! 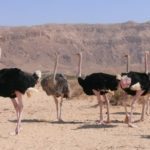 Wild ostriches live in groups in Africa. Sometimes there are as many as 50 birds in a single group. With their long necks, they can see long distances, so in a group at least one of them is likely to see danger coming. 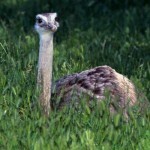 Ostriches eat mostly roots, leaves, flowers, and seeds. 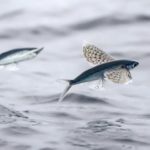 But they will also eat insects, lizards, and other small creatures. 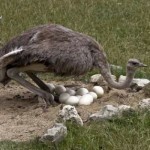 The eggs of ostriches are the largest eggs in the world. 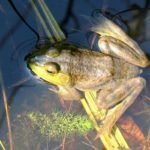 They average about 6 inches (15 centimeters) in length and 5 inches (13 centimeters) across. African tribes used eggshells as vessels for water and European made beautiful cups from it. 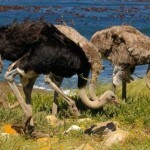 Ostrich live for 30-40, but in some cases nearly 50 years. 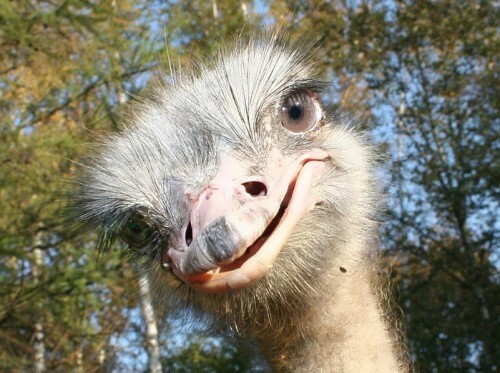 An ostrich’s eye is the largest among the eyes of all terrestrial creatures – it is about 5 centimeters in diameter. The male ostrich can warn of the dangers making a sound like the roar of a lion. 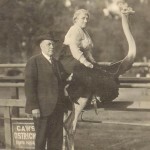 In the 18th and 19th centuries, the ostriches were rather rare birds. People hunted them because of the beautiful feathers. In the days when fashionable women wore showy hats, they were often decorated with ostrich feathers. This bird can be trained to carry people on its back. 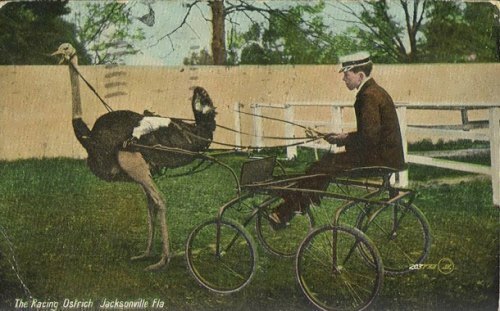 In some parts of the world people have ostrich races.